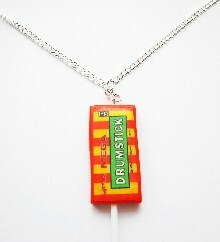 In vogue fashion sweet mega drum lollipop necklace. Medium size pendant made from clay. Silver plated or sterling silver options available.